I am so inspired by your strength and your loving stand for your family. My heartfelt love goes out to you as you share the world of your mom and love her with your whole hart and being! We are using my new film here in NY and I just wanted to share this site with you. I always want to share my love and dedication as a therapist to bring love to others who experience the challenges of this disease. THANK YOU! I stumbled across this and got a lump in my throat. My father who just turned 68 was officially diagnosed 10 years ago but we noticed signs much earlier. Though your post isn't detailed, it was enough to bring me to tears thinking, wow someone else gets it! Thank you for sharing your story and encouraging me that I am not alone! Thank you for fighting the good fight! I lost my mother to this dreadful disease in January. God bless those who care enough to try and make a difference. We owe it to our loves ones affected by this disease. I carry my mothers strength and devotion with me everyday of my life. The time we had was priceless and I will never stop walking, I will never stop being an advocate, I look forward to the day we find a cure! Anyone with a brain can get alzheimers! Thank you so much for sharing! I am walking for my husband with early onset Alzheimers diagnosed 2 yrs ago at 60. I only hope I can be the light for my husband as your Father is for your Mom. Pam H.
I'm with you, Alzheimer's is NOt cute!! And I think anyone who thinks it is, is very sick in their minds. It's a disease that I would never wish on anyone. My grandmother had it and now my mom. It is very hard for me. I was able to fight cancer twice and be cured but my poor mom, like others fight and never get the chance to win the fight. But I will fight for her and others like her. We must stay strong, stay focused and NEVER EVER GIVE UP!!!! ALZ knows no boundaries, it changes all of the family. This year I organized a Longest Day fundraiser selling Hot DogZ. We raised $2000 with the help of my Knights of Columbus brothers. It was bitter sweet as my best friend, a 66 y.o. Former teacher had to give driving his truck because of early onset ALZ. His last day of dress vying was the day before the Hot Dog Event. I had to ask him to pull over and take the wheel of his truck when he couldn't determine how to drive out of the SAMs Club parking lot. Your dad I a also my hero because he knows Love is his Gold Medal. Thank you for sharing this story!!! I am walking this Saturday in memory of my Mom, who was also young when she was diagnosed. She past in 2014 and I still have such a passion to find a cure for those effected by the disease and for future generations to come. I am 49 years old and I certainly hope that one day we can reverse this disease. Good Luck on her journey and wishing your family peace and love!!! As I am another statistic in the war on Alzheimer’s, I want to encourage everyone to support the Alzheimer’s organization. They are doing such great work to find a cure for this life-robbing disease. My father had Alzheimer’s, and since I am so genetically like him in many ways, I have been anxious about inheriting it. Lot and behold, I did start having the symptoms of the disease several years ago. I have found a great doctor who is focused on patients with this cruel disease, and am following the Excelon patch regimen which, I believe, is slowing its progression. Let’s all become aware of this life-draining disease, and say prayers for our doctors who are attacking this disease through development of life-sustaining measures to eradicate it. My mother was diagnosed with Alzheimer's at 70 years old. She is 78 years old and is changing. I am her primary caregiver and work full time, and my brothers chip in also. I will take care of her because she would do it for me. When she is feisty with it, she is feisty, at times it is exhausting. However, by my reading up on the stages, through VNS, her other doctors, it has prepared me and helps me cope. Sometimes I wonder why she even has to have the disease, but she keeps fighting and her favorite line is I AM DOING THE BEST THAT I CAN!. 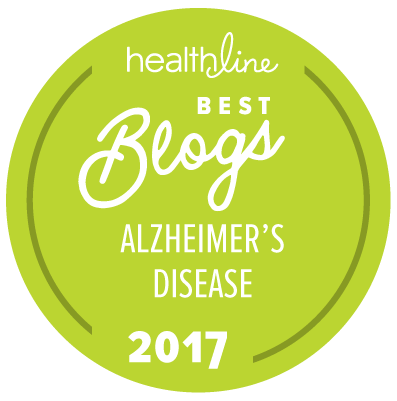 My wife was diagnosed with Alzheimer's at 53 . She was a lawyer with an incredibly memory and above average multi tasking skills. 3 years later she can't read ,drive ,cook or dress herself . Her processing skills have vanished and the easiest task is a hardship beyond any imagination. She has an amazing smile and I wake her up every day at 8:30 bath her and she goes for walks with caregivers for miles on end. She ran a half marathon on her own following everyone else with me cheering her on at different stations along the way. The world to her is new every day and it is remarkable but the light is getting dimmer as I watch her get lost with the smallest of tasks. It is a very lonely world for the caregiver spouse and you have to be very creative in keeping your sanity. I toast all caregivers as it is a journey into the unknown and your patience has to be Yoda like . God's blessings to you and your family. My mother is 90 and living with this curse of a disease. Her sister has it as well. Her's is more advanced than Mother's. My husband and I have been taking care of her for many years. The hardest part for me is we can't share memories of my childhood. The only thing she remembers in detail is my dad who died at age 63 with lung cancer. At least there is one thing we can share, the love of my father. Thank you for all you do. My prayers are with you.